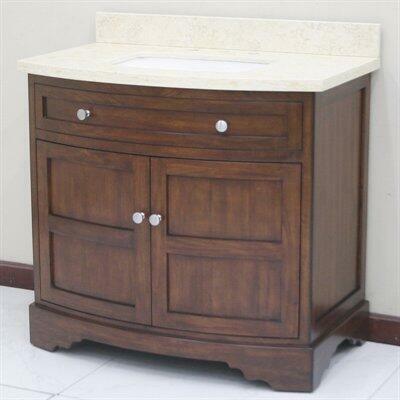 An elegant addition to any space, this 38” vanity has set of doors for storage space. White rectangular porcelain sink is set in a polished Sahara marble top with a matching backsplash and matching various sizes. 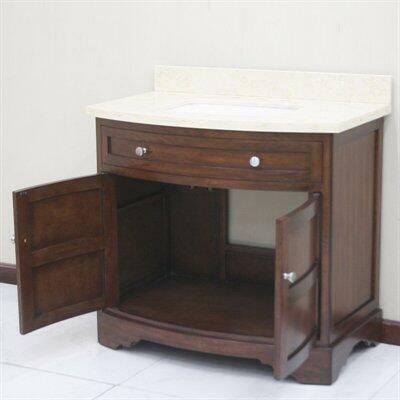 Solid hardwood construction, polished marble top, concealed pivot door hinges and more add to the extraordinary value of this vanity. A completed unit that is ready to install. I love this vanity so much. It is so simple but it just works with my lifestyle. Awesome!